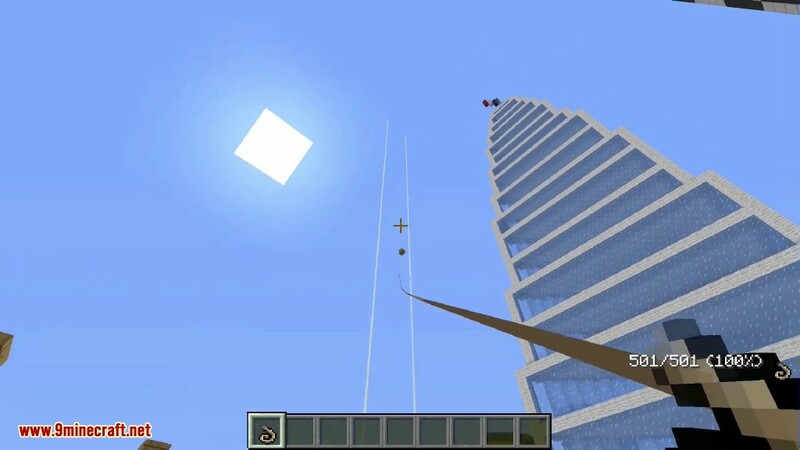 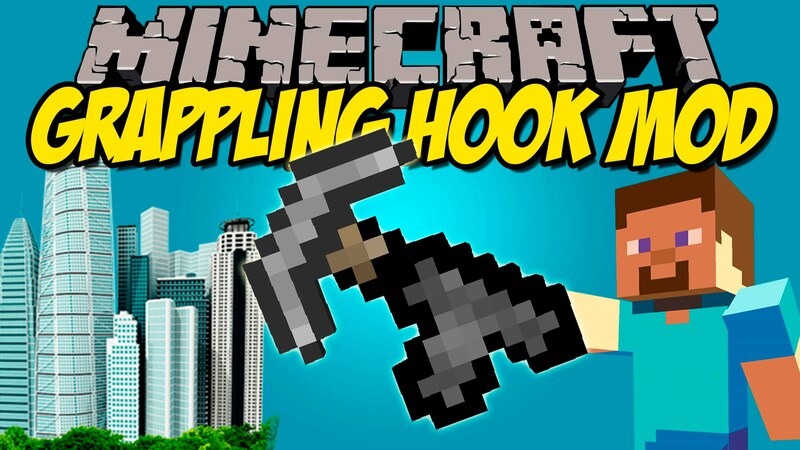 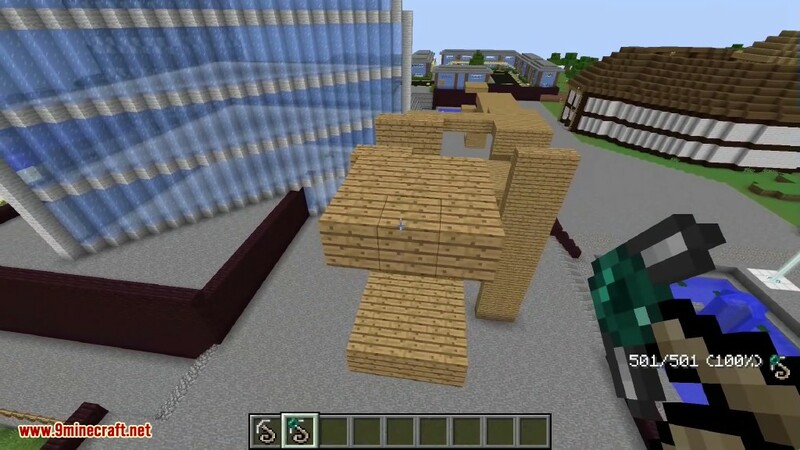 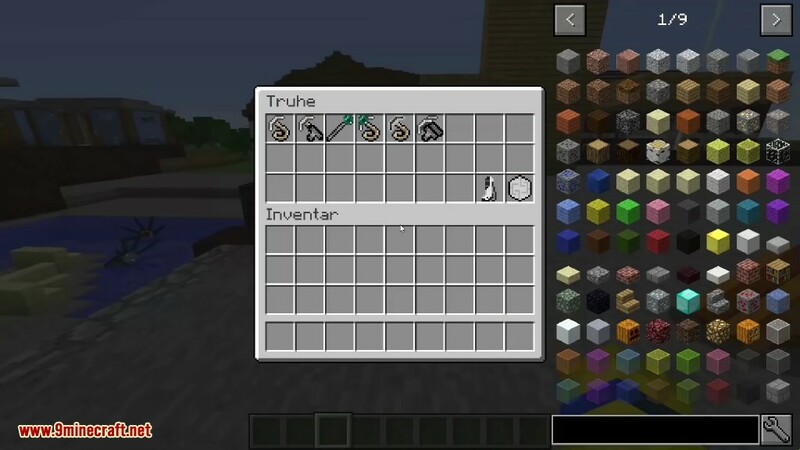 Grappling Hook Mod 1.12.2/1.11.2 adds grappling hooks to your Minecraft. 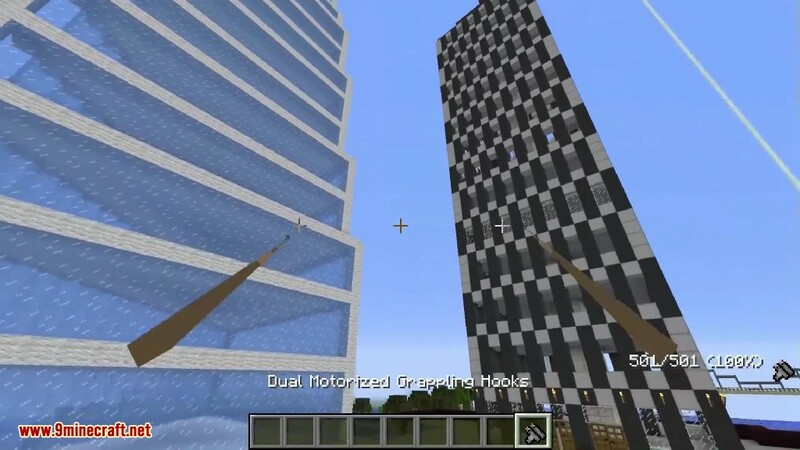 The aim of this mod is to provide a fun way to get around large builds like cities. 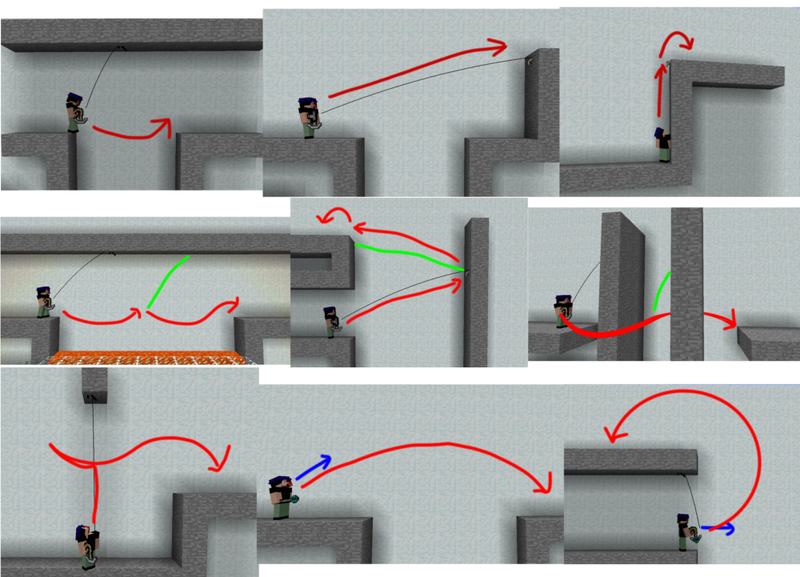 Player is repelled by nearby surfaces. 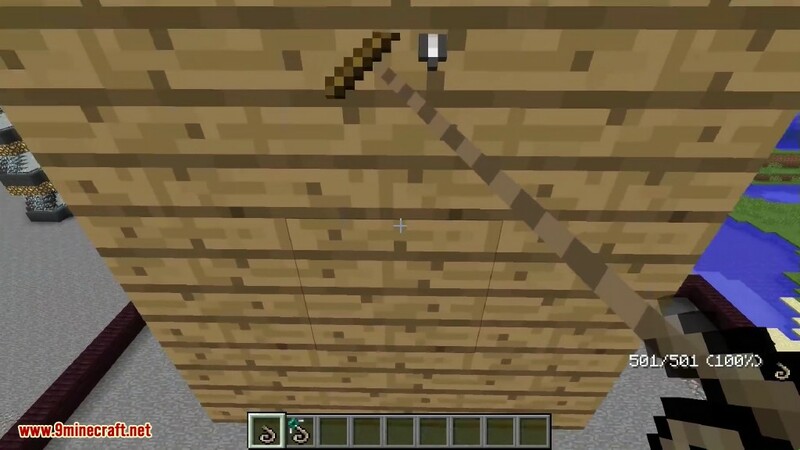 Can be used with ender staff. 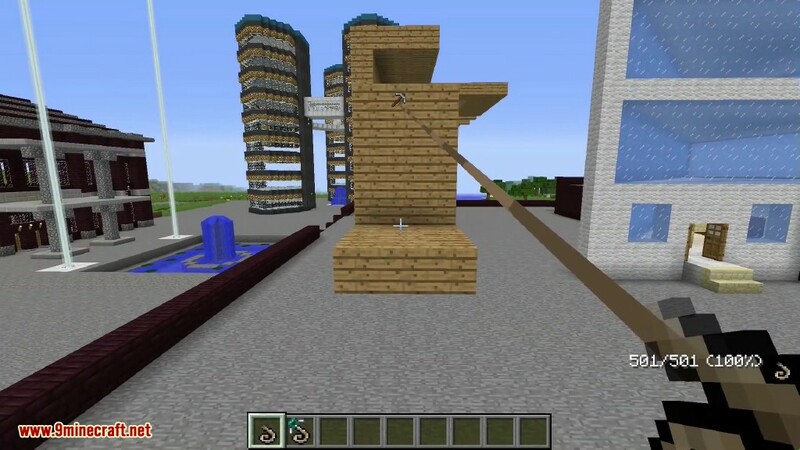 Hook is attracted to nearby blocks.